We have something really EXCITING we want to share with you! We bought a building! Last July Lupine and I decided it was time to find a permanent home for Modern Domestic. We adore our neighborhood and are thrilled that we found a building just 10 blocks away and right here on Alberta Street! We will continue to be in the current location until fall 2016 and will invite you all to our Grand Opening party as soon as we get settled. Our early customers have seen Modern Domestic grow from one tiny space back in 2010, to 2 spaces in 2011, and then to 3 spaces in 2013. We owe our rapid growth to our amazing customers and staff, and are so grateful for each and every one of you. We live by these values and believe they are what make MD the place we all call our home away from home. We know you have all come to love our beautiful space at 1408 Alberta as much as we do, and surely, there will be things we miss: the friendly faces at Case Study Coffee and Swiss Hibiscus, popping across the street for Cupcake Jones or Bamboo Sushi, and new customers who wander into our shop while waiting for brunch at the Tin Shed or house hunting at Living Room Reality. We will always have a tender spot in our hearts for MD’s original space, but we are thrilled by the concept of intentionally designing and owning a store that meets all of our needs. 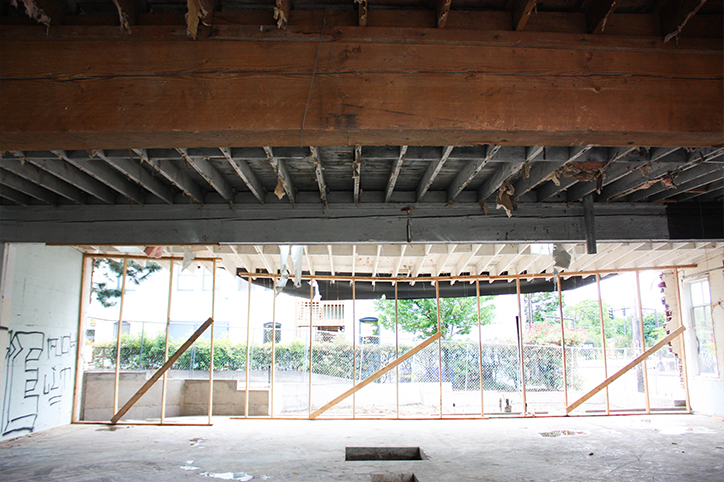 We know it looks a little rough right now, but our new space will share the same modern aesthetic as our current store. It will have high ceilings and a massive skylight, large windows, concrete floors and a giant classroom. In addition, we are ecstatic to add a ground floor service center for our technicians, Travis and Aaron, two fabric cutting tables at checkout, much more fabric display space, an outdoor garden area, and a dedicated parking space for machine drop-off! 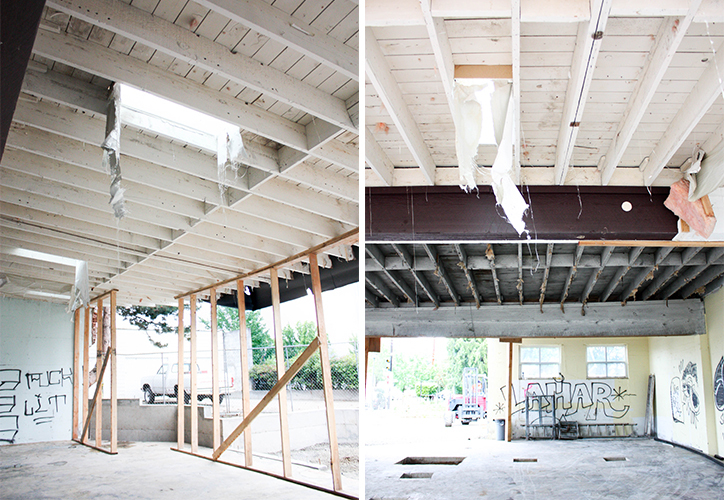 It has been so exciting to watch this old Alberta St building from 1928 transform into our new modern home. 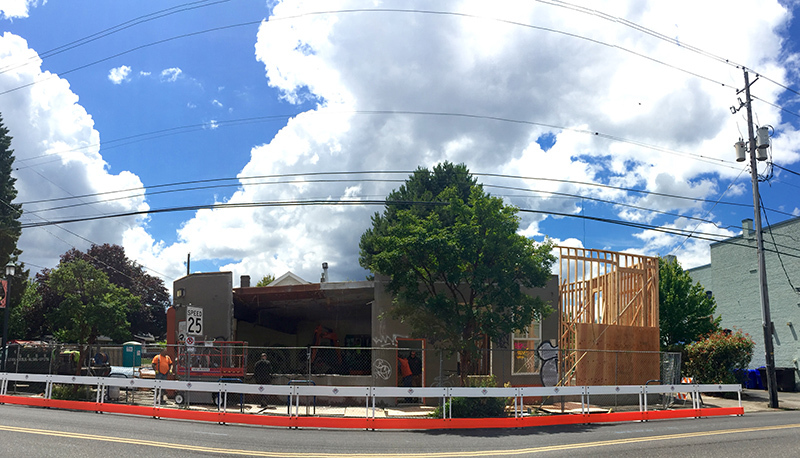 With the help of Wright Architecture and Modern Organic Construction, this neglected building is going to become MD’s permanent residence. We will be posting updates along the way on Instagram and Facebook, keeping you all in the loop of the exciting progress. Omg you guys! Just fantastic news!! Very happy and very impressed! Congratulations. I am very happy for you. It is going to be delightful. I noticed on my walk today that your space was smaller, and I feared the worst! I’m glad to hear you are just moving into a space you own. How exciting! I’ve been watching your new building take shape with interest, little did I know that you were the destined inhabitants. Congrats!